Custom Zebra Sarasa Gel pen is so smooth to write with! Eric's been telling us for years the Zebra cartridge lasts such a long time and writes beautifully. 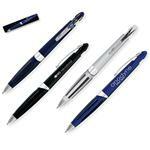 Pen offers smooth-flowing gel ink, ergonomic rubber grips, and a translucent barrel. Make it even more sassy by adding your company's logo. 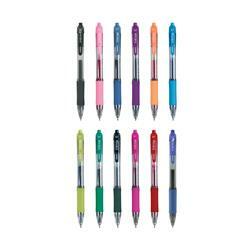 Zebra Brand Pens are known in retail for their quality. 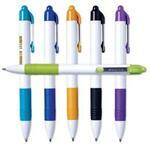 As a promotional gel pen, the Zebra Sarasa is unmatched. FREE 1-DAY RUSH PRODUCTION AVAILABLE! Plastic, great color variation, ergonomic grips, Zebra Brand, Gel Ink.